Industry 4.0, the Fourth Industrial Revolution or the Industrial Internet of Things (IIoT). Regardless of the phrase used to describe digitalisation in manufacturing, there’s no denying that a shift has already taken place. But, is the age of industrial buzzwords coming to a grinding halt? Here Stefan Reuther from Copa-Data, gives his three predictions for industrial automation in 2019 — no buzzwords included. Manufacturers have long felt the pressure to invest in new technologies. 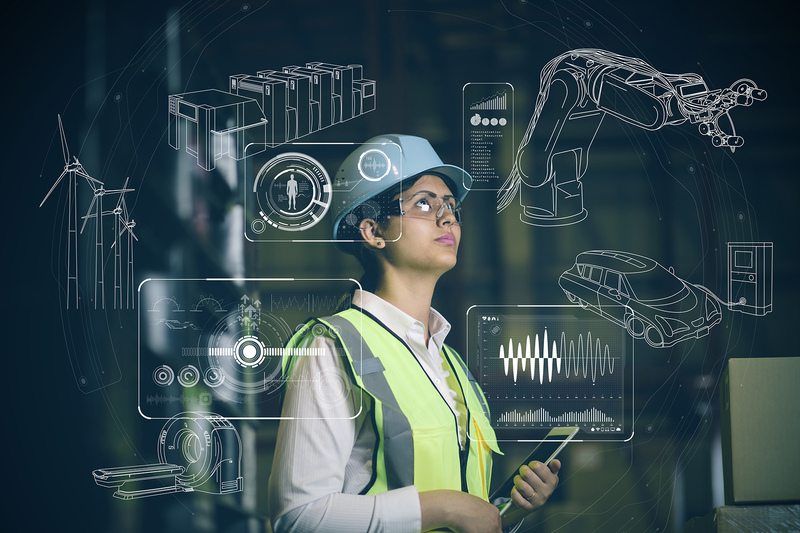 In the so-called age of Industry 4.0, this pressure has been heightened by an influx of products and initiatives, all claiming to help manufacturers digitise their operations. Unfortunately, some of these schemes are nothing more than a waste of money. Don’t get me wrong, there is certainly value in investing in technology to enable digitalisation in factories’ practices. However, rushed approaches have led to some manufacturers making haphazard investments. For example, some have delegated digitalisation to third parties and as a result, are not in charge of their own automation. Before embarking on a digitalisation scheme, manufacturers should first examine which technology is practical to their facility. A good place to begin is to listen to the people on the factory floor. Understanding how technology can practically help workers can ensure that investments are pragmatic. Another thing to consider is simplicity, by reducing complexity of processes and gaining a clearer overview and full control. Manufacturers should choose technology that is easy to understand, implement and scale up in the future. Digitalisation should be approached in a more practical manner — a steady, incremental transformation is better than a failed one. Software is another area that has been constantly hallmarked as a method to speed up manufacturing digitalisation. However, before investing in software for data collection, manufacturers should begin 2019 by implementing a coherent data strategy. Rather than simply collecting and storing data, manufacturers must identify the results that they want to achieve and decide how data can help them to meet these business objectives. Consider this as an example. Let’s say a manufacturer wants to improve return on investment (ROI) in the facility by reducing the amount of materials wasted from production. To identify areas of improvement, manufacturers would need to collect production data and compare this with data from Enterprise Resource Planning (ERP). Without a pre-determined strategy like this, manufacturers run the risk of simply collecting and storing hordes of data. There’s no value in data if it is left to gather dust. Over the next twelve months, we hope to see data strategies become an integral part of manufacturing. That said, data strategies are only comprehensible when using the correct software. Recent years have seen a shift in the amount of investment manufacturers assign to software. Traditionally, hardware would have received the largest bulk of cash, but this is beginning to change — particularly as more advanced software platforms emerge. Software for manufacturing facilities is no longer limited to Manufacturing Execution Systems (MES) and Supervisory Control and Data Acquisition (SCADA). The realm of industrial software is experiencing a convergence of IT and operational technologies (OT), giving birth to new platforms which integrate a plethora of different areas — including enterprise data from the corporate level, through to field and process level automation. While this may sound more complicated than traditional systems, these platforms often boast better design, visualisation, calculation logic and ergonomics than their predecessors. This makes the operation of systems safer, simpler and more transparent. I might have promised no buzzwords, but software is the driver of what is so commonly referred to as Industry 4.0. As a result, it is no surprise that we are likely to see increased investment in integrated platforms like these over the next twelve months. The age of conceptualising the possibilities of manufacturing digitalisation is over. During the next twelve months, the products and initiatives hailed as ways to transform manufacturing facilities will finally be put to practical use.